The 2016 Ford Explorer near Fort Bliss remains a strong contender in its category as it returns to Ford’s midsize lineup. This year, not satisfied with being of one of America’s most popular midsize SUVs, this model raises the bar even higher with more refinements, contemporary equipment, and thrilling performance. The 2016 Ford Explorer truly breaks new ground, and that’s incredible news for SUV fans everywhere. 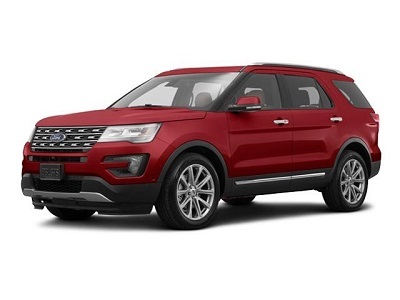 The 2016 Ford Explorer near Fort Bliss is offered in several trims, from the practical Base all the way to the opulent Limited. Regardless of the model, they are all equipped with a 290-horsepower 3.5-liter V6 engine with 266 pounds per feet of torque. The available AWD adds useful features like hill-start assist. This entry was posted in Business on April 9, 2016 by Domingo. We here at Viva Ford know that the car-buying process can be stressful. Don't worry! With Viva Ford you don't have to go all over town to get your automotive needs met; we have on-site financing and an automotive repair shop staffed with reliable mechanics. Visit our website for more information.